Catfishing & Identify Theft In The Blogging World. If you're a blogger or a blog reader, you may have heard of the latest round doing the online blogging community - identify theft and catfishing. As a blogger myself, who classes herself as established, it's quite a worrying concept, and one I hope I've not been apart of in anyway. A few weeks ago whilst browsing Twitter, I come across an article that had been re-tweeted quite a few times and decided to have a read myself, wanting to know what all the fuss was about. What I didn't prepare myself for was the nature of the article. Sadly, I've tried all morning to find the article, but unfortunately I can't, however I do recall it was on a blog, written by the blogger herself who had been notified by a few PR companies that someone was pretending to be her, in return for 'free goods'. To cut it short, someone made up a fake email address, impersonating the blogger in mention, and then contacted brands on a review style basis to be published on the blog, however, the person behind the email address wasn't the blogger in mention, and so, the review didn't take place. 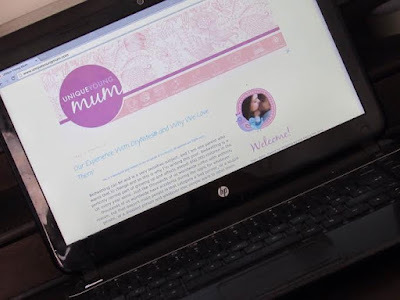 I come across an article from My Voucher Codes which has made me think about how much bloggers do share online, and how us bloggers put ourselves at risk every single day near enough of being catfished, and having our identities stolen! It's a worrying subject, but as a blogger, I've no idea how we can try to prevent it happening, it's not as though we can stop what we're doing, without giving up our blogs, which for some of us, is also our jobs! The article, of which you can read here, states how 23% of social media followers have had their images used by someone else without permission, in other words - they've had their images stolen. The article also goes on to mention blogger's tale of their catfishing experiences, with one of those being a fellow Reading lass and blogger Gemma from My Mills Baby. How can we possibly prevent someone pretending to be us? That is a question I've been asking myself all morning, and for a good few hours last night. I spoke to Gareth on the phone as I always do once Spud was tucked up in bed, and realised how much the thought was actually worrying me. I've worked extremely hard to get Unique Young Mum to where it currently is, and to potentially have someone try to impersonate me, and UYM is something I really don't want to expierence. In the last week I have been in contact with a number of companies in regards to my blogiversary feature kicking off on September 1st, I've so far been able to gather over £600 worth of products to give away, to readers who have been here from day one, to the not so old readers and new readers who may come across UYM when the competitions kick off. I personally feel like this is a new chapter for Unique Young Mum, with lots of relationships that will hopefully continue well after the competitions end. I appreciate the fact that brands and companies want to work with me, and to work with them again would be amazing. All I can suggest is if you want to get in touch with me, please come here to Unique Young Mum first, and get my email off here, find the social media platforms I use on here, and if in doubt, please do double check! Hopefully the latest scam round in the blogging world will stop, but my fear now is that more people will only copy what they've heard in return for 'free' products, which actually aren't even 'free'. Us bloggers work damn well hard to run our blogs, it cost us money to host our blogs, it cost us money to run our blogs, it cost us time and much more. I'll leave that for another day and another post!